It has been found that noise limits the prediction of deterministic chaotic system. Due to the lack of knowledge on dynamical system and nature of noise, the estimate of noise level is obviously important to the commonly used noise reduction method. 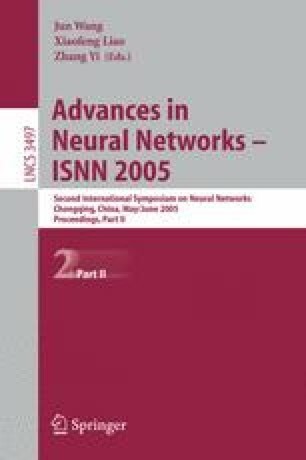 On the basis of noise level estimate and optimized method, a systematic chaotic noise reduction method is proposed combining with Finite Impulse Response Neural Network (FIRNN) in this paper. Firstly, the initial noise level is estimated using wavelet analysis. Then, a Local Projection noise reduction method is applied while a FIRNN is used as a main diagnostic tool to determine the optimal noise level. Simulation on real monthly noisy sunspot time series shows that the proposed method works properly for noisy chaotic signals.